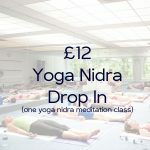 This works out at just over £81.25 p/m for Unlimited yoga for a whole year! This includes all hot yoga classes, yoga nidra, restore & renew & yin yoga classes. For anyone averaging 2 or more classes a week, this is usually the most economical class card. For those averaging 3 classes a week, it works out at £6.77/class! Bargain! PLEASE NOTE: You have a month from date of purchase to activate. Once activated, the card is valid for 365 days. All our class cards are non refundable, non transferable and non freezable. *Concession rate class cards can only be purchased at the studio with proof of concession. Photo ID or written proof will need to be shown each time you purchase concession rate classes at BYC. Concession rates are available to: Pensioners, Students, those in receipt of Job Seekers Allowance and/or Income Support, Disability Allowance, the Armed Forces, Equity, Musician Union Members, NHS Employees, Police and Fire Fighters. Proof is required to benefit for the Concession Rates each time you buy classes. Congratulations you, this is the best deal we have! If it is your first time practising at Bikram Yoga Chiswick, you need to be in the Yoga room from the very beginning of class. This is to ensure that the teacher knows you are new and if you are working with any illness’ or injuries, so they can take good care of you. Latecomers, who have practised at Bikram Yoga Chiswick before, need to be in the room before the 1st breathing exercise has finished or at the discretion of Managers And Reception staff. This is for your own safety and to cause least disruption to the class. All BYC Class Cards are non refundable, non freezable & non transferable. We will of course hold class cards for pregnancy and/or medical reasons. For medical/injury class card hold we require a doctor, physio, chiropractors (or whoever you are seeing in regards to the issue) note, attaining to the issue and that it has been keeping you from your yoga, emailed to us at studio@bychotyoga.co.uk.